Before starting the analysis of Fortnite we felt like in a John Carpenter movie. Those action-packed tapes in which the protagonists prepare for the siege of the criminals (in Assault on the police station of the 13th district) or of the monsters, in Ghosts of Mars. Because that is precisely what we have to do in the game: prepare our shelter and our weapons, to survive the waves of monsters that arrive at night. Epic Games had already flirted with this idea in the Gears of War horde mode, but Fortnite is much more complex. In fact, it can be a bit overwhelming at first because of the number of options it offers. The argument is simple: a storm ravages the Earth, destroys most of the population and makes the monsters go out every night to kill the survivors and our job is to make sure they do not get it. And now is when things get complicated. We have a peak to destroy the elements of the scenario and thus get resources (wood, pieces of metal, stone or mechanical elements) with which to build defenses, strengthen our base and create traps. The center of the fort must be an anti-storm shield, which increases its area of ​​influence with each level; So to speak, it is the "safe zone" in which the survivors will take refuge. The construction system is quite complete: we can place pieces of wall, floors, ceilings or stairs, in three different materials, and then edit them so that they have specific forms (like doors or windows). And once we have placed the structure, we set up the traps; there are no decorative elements, it is simply about protecting ourselves and surviving. And all structures are destructible, regardless of the material they are made of. Once the night falls and the monsters attack, the walls and palisades of spikes will not be enough to retain them, and we will have to show that we are as skilled with a weapon in our hands as with the pick and shovel. What awaits us is the traditional gameplay of a "shooter" in the third person, agile and exciting. As it is a survival situation, we will have to manage the ammunition with care, build our weapons from planes and prepare to lose them with the use. There are two types of missions in the game: those of exploration, in different zones that are opened in the map, and those of improvement and defense in which we return to the main base. With the resources we obtain in the first ones, we can face the "upgrades" of our fort, but the truth is that the development does not vary too much. Each new scenario proposes variations on this defense either from the base or from the ATLAS, which are energy devices that are scattered around the map. Fortnite allows us to select our hero, with four available classes (soldier, ninja, constructor and globetrotter) and a complex tree of improvements. And we can also recruit defenders and survivors. These characters organized into squads, will give us a hand with our mission, or go out to meet orders on their own, as in Metal Gear Solid V . In turn, each of them (common to legendary) can improve with experience and change their arsenal. As we said before, so many options can be overwhelming. Luckily, we are not alone to save the world. Fortnite is an online cooperative multiplayer game. There is no single player campaign "to use", but progress requires that we connect to the network and look for surviving partners. At first, building a refuge among several may seem a bit chaotic, but the truth is that it is quite fun. In addition, the collaboration between four allows us to explore the scenarios more quickly, and makes the confrontations much easier. Characters and scenarios have an animated style, very much in line with what we have seen in Overwatch or in Team Fortress 2 , which stands out for the size of the maps. His sense of humor reminds us of another game from the same team, Bulletsorm Full Clip Edition , but it lacks detail and the animations are not great either. We have played it on PS4 PRO and there were even some problems with the fluidity of the game. The sound section is not to throw rockets either: the music that goes completely unnoticed and the voices are scarce and in English, although this does not affect the experience. There are many games in Fortnite: the shootings are frantic (as you would expect from a development of Epic Games ) and the construction of our headquarters has "stung" us. But the progress in the exploration missions has seemed repetitive, and technically it is a bit short. At the beginning we were excited about the idea of ​​preparing our strength and resisting -as in the Carpenter movies- but once we have played several missions, the development has become mechanical. Mind you, that does not mean that it is short -not much less- nor that it lacks depth. Fortnite is an ambitious proposal that combines very different genres (from strategy to "shooter") and gives us great moments. However, the mechanics become repetitive after a few hours of play, and technically it is not up to the level of other studio productions. The balance between building, construction, shootings and strategy. It becomes repetitive and sometimes so many options are overwhelming. The wishes of mobile users have finally come true. The studio Epic Games released a few days ago the iOS version of its successful game Fortnite. In principle, the mobile game is only available through invitation and its launch for all users is done in a staggered manner. However, that has not prevented the title has been upgraded to the first position of the App Store in several countries. According to the Sensor Tower analysis firm, Fortnite Battle Royale has managed to lead the ranking of the Apple store in 13 countries in just a few hours. And not only talk about climbing to the top of the top of games, but also to the top of the top of iOS applications. In 12 other territories, Fortnite has been ranked between 2 and 5 of the most downloaded apps in the App Store. In addition, in 4 other countries it has been placed between the sixth and the tenth position. 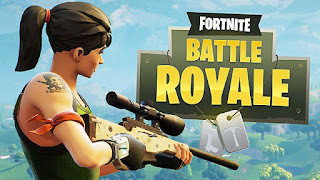 If you are one of the few mortals that does not know Fortnite, it is a multiplayer third-person shooter that emphasizes the creation of sandbox and survival mechanics. Players can gather resources by deconstructing elements of the game and then use these resources to build fortifications. Each round starts with 100 players that fly from buses that place in different points of a randomly generated map. The goal is to survive and be the last to stand. The version of Fortnite for iOS allows you to connect online with all those players that are connected through the PC or the console. The version of Fortnite Battle Royale is expected to land on Android in a few months.